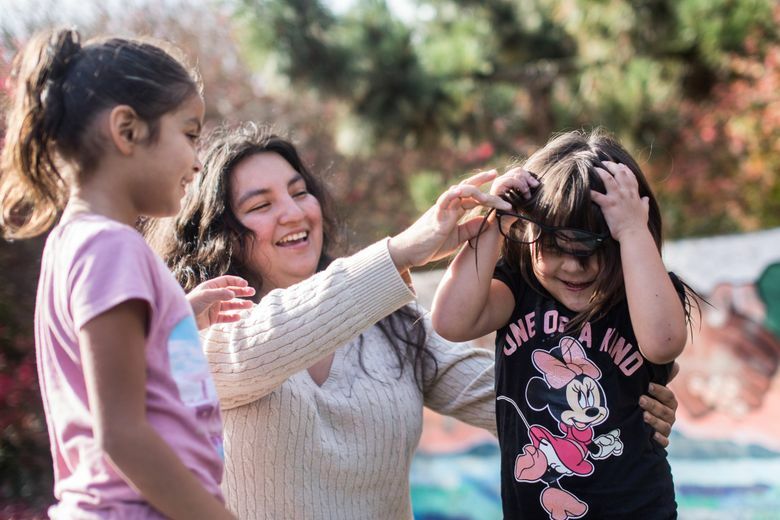 Diana Cruz, who grew up caring for her younger siblings and now has kids of her own, found more community than judgment at Atlantic Street Center, a nonprofit helped by reader donations to The Seattle Times Fund For The Needy. On Diana Cruz’s first visit to Atlantic Street Center, she didn’t say much. Leading up to that moment, “everybody who saw me and knew I was pregnant at the age of 14 just wrote me off,” Cruz said. Over the next two years, attending regular meetings at the center featuring meals, child care and community, Cruz opened up. She grew “from that young woman who was timid to this one who’s vocal, who’s taken charge of her life,” said Michelle Mitchell-Brannon, youth-development and education-program manager at the Atlantic Street Center, one of 12 organizations that benefit from The Seattle Times Fund For The Needy. Atlantic Street Center provides services for children and families, including home visits for parents with young children, services for teen parents and a support group for people caring for the children of relatives. 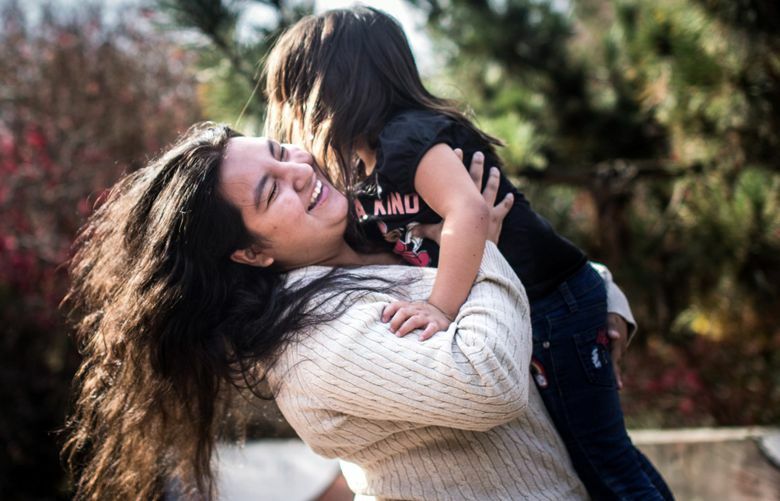 Cruz, 22, grew up often caring for her younger siblings before she was separated from them in a custody fight. As a new parent, she again found herself the caretaker. The staff at Seattle’s Atlantic Street reminded her to think about her own needs, too. The Teens as Parents Program offers the essentials, like diapers, plus case management and parenting-skills training. 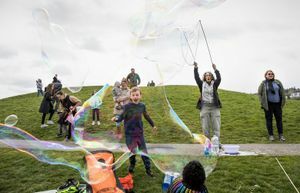 “If it’s you against the world, it’s so much harder to get past that obstacle than when you have someone to push you,” said Mitchell-Brannon, who runs the program and herself was a teenage parent. That guidance sometimes means checking up on young parents in school, staying out with them all night if they can’t find a shelter, or showing up when a young parent is experiencing domestic violence. Some days Mitchell-Brannon attends custody proceedings; other days, graduations. “Every day, I think about how can I affect some change,” she said. That spirit extends throughout Atlantic Street’s programs, which include counseling, home visits for parents with young children, rental assistance and support for people taking care of a family member’s children. Jessie Lofton is caring for three young children of a family member who she says is using drugs and can’t care for them. Lofton, who lives on a fixed income, has taken in the three girls, ages from 3 to 6, and is trying to get custody of a fourth. “I wouldn’t want my babies separated,” she said. For help with diapers, clothes and navigating the custody process, she has turned to Atlantic Street Center. Atlantic Street Center has operated for more than 100 years and last year served more than 5,000 people, including 62 young parents in the Teens as Parents Program, according to the agency. The center is serving more clients every year, according to a spokesman. The organization’s annual budget is funded primarily through government grants and donations. Mitchell-Brannon said her program is consistently in need of basic supplies like diapers, wipes and formula as well as financial help to fund housing-application fees, meals and transportation. Cruz first entered the Teens as Parents Program in 2012 or 2013 after moving into a housing program for young parents that required them to take parenting classes, she said. A van arrived one evening to take her to Atlantic Street. “Since that day, my life has been changed,” she said. Cruz said Mitchell-Brannon has helped her find housing and encouraged her to get her GED and enroll in a barista-training program that helped her get her first job at Starbucks. Even with Mitchell-Brannon’s support, Cruz’s path hasn’t always been linear. She has been in and out of housing, employment and a dangerous relationship since her start at Atlantic Street Center. But the program has offered consistency — and someone she knew she could call. Cruz recently moved out of Seattle and is staying with family and looking for a new job. She still stays in touch with Mitchell-Brannon. Eventually, she hopes to become a nurse in a neonatal intensive-care unit.